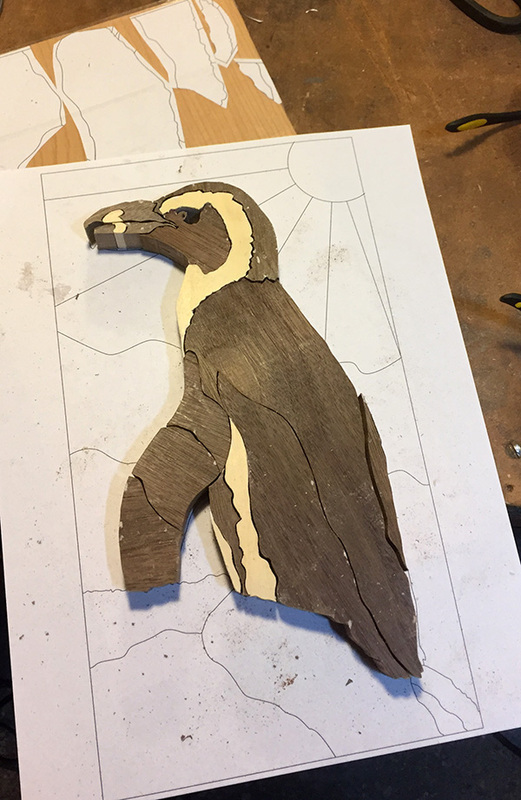 This is my second attempt at wood intarsia. 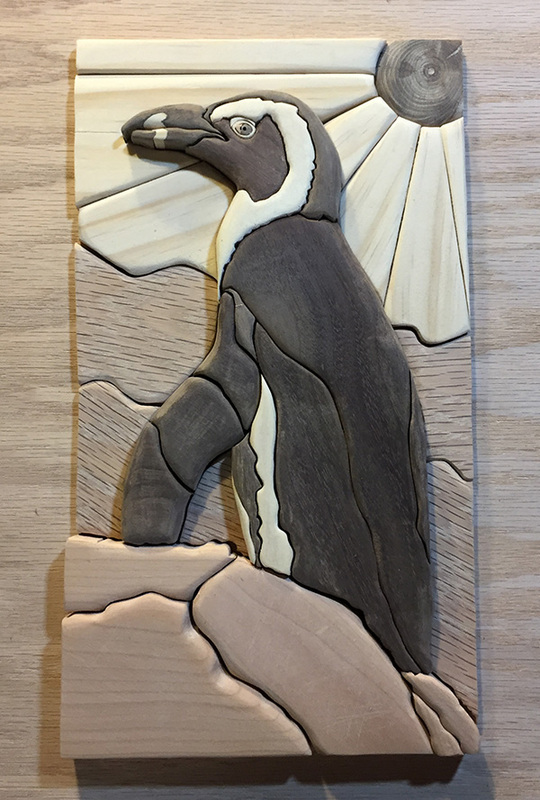 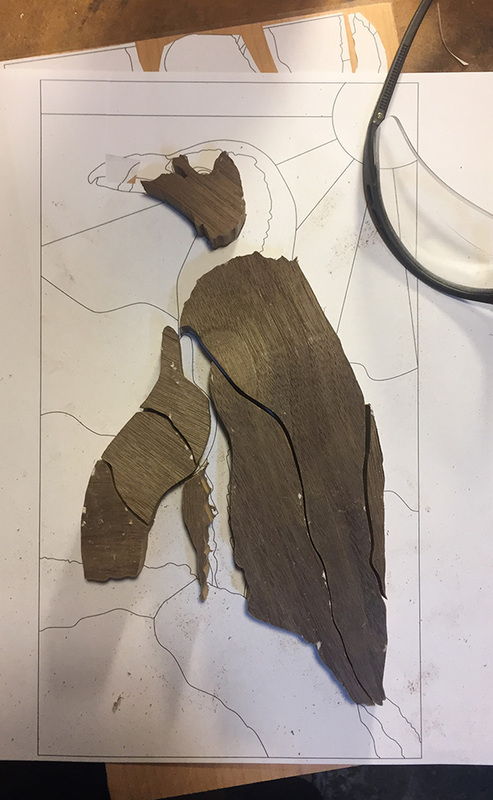 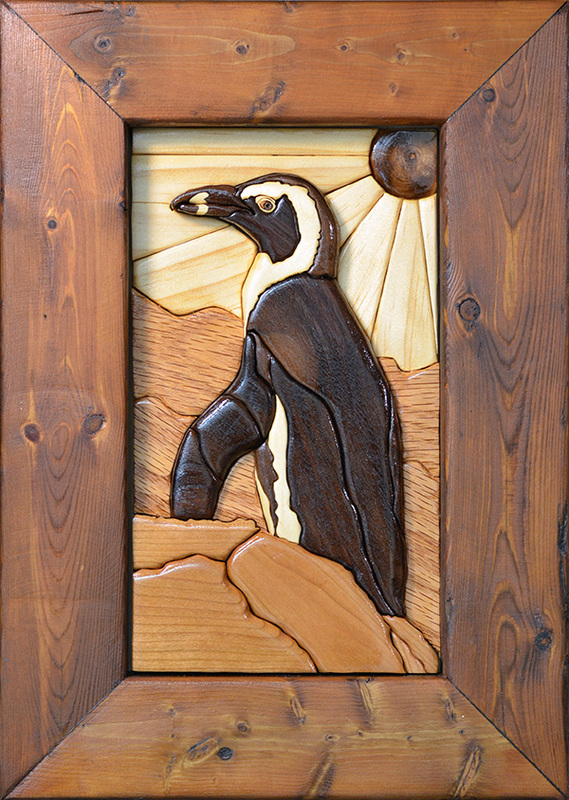 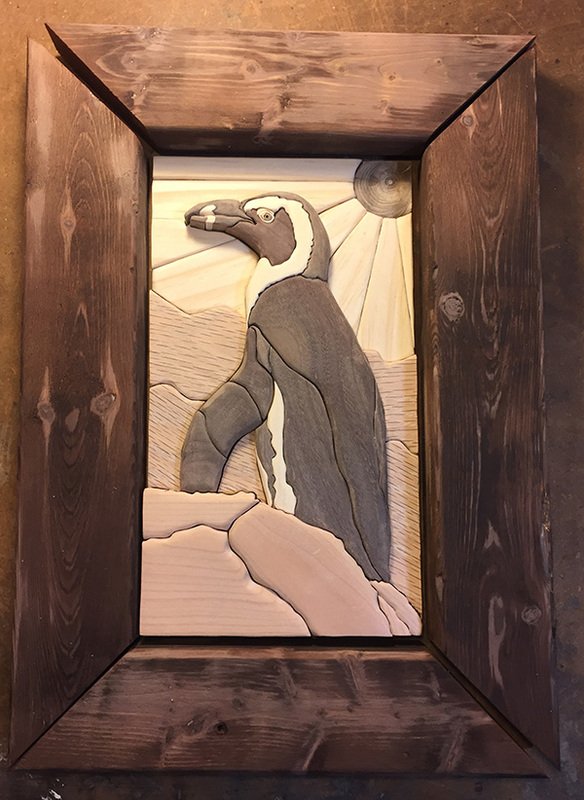 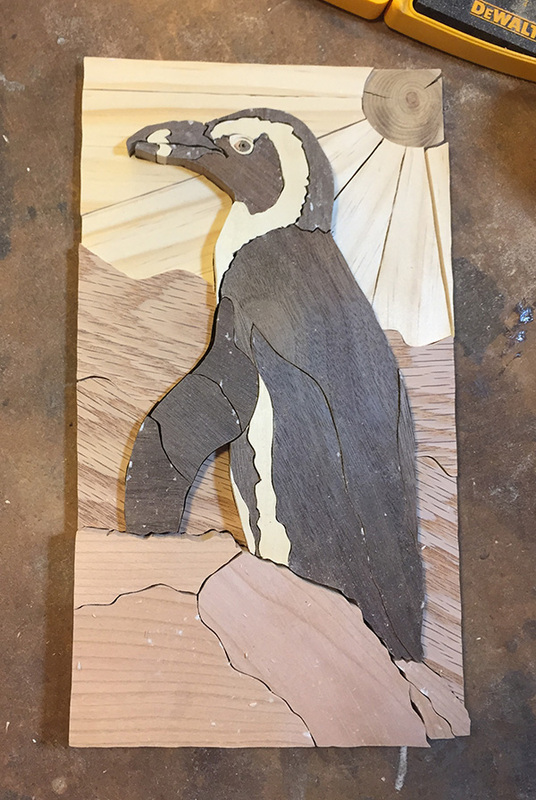 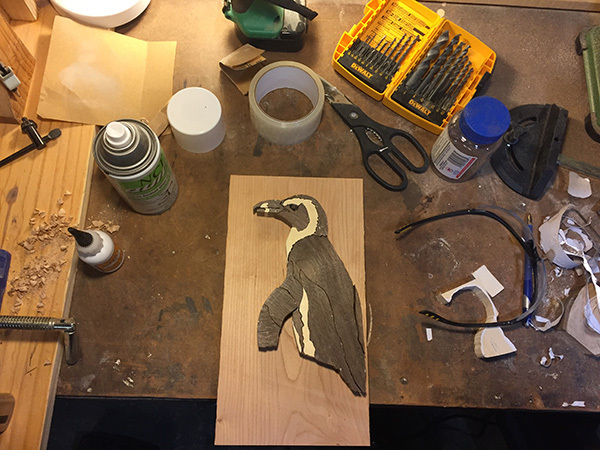 I designed this based on a new resident of the National Aviary – an African penguin named “Sphen.” It was constructed from Walnut, Aspen, Cherry, Red Oak, Yellow Pine, and Maple log. 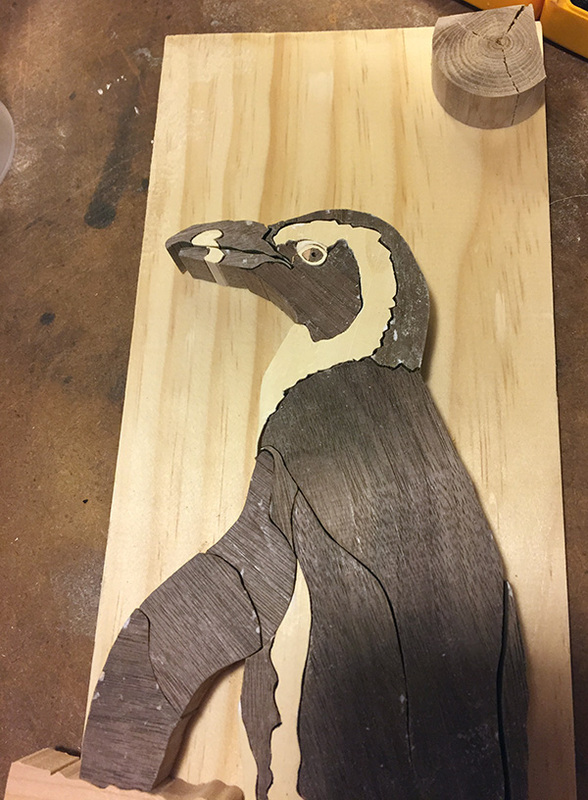 Allllmost done. 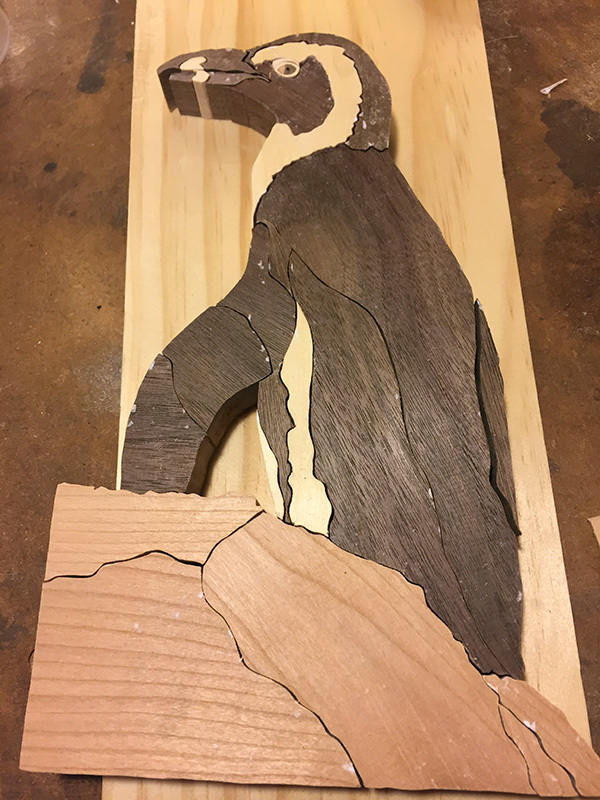 #intarsia #woodworking with my #scrollsaw. 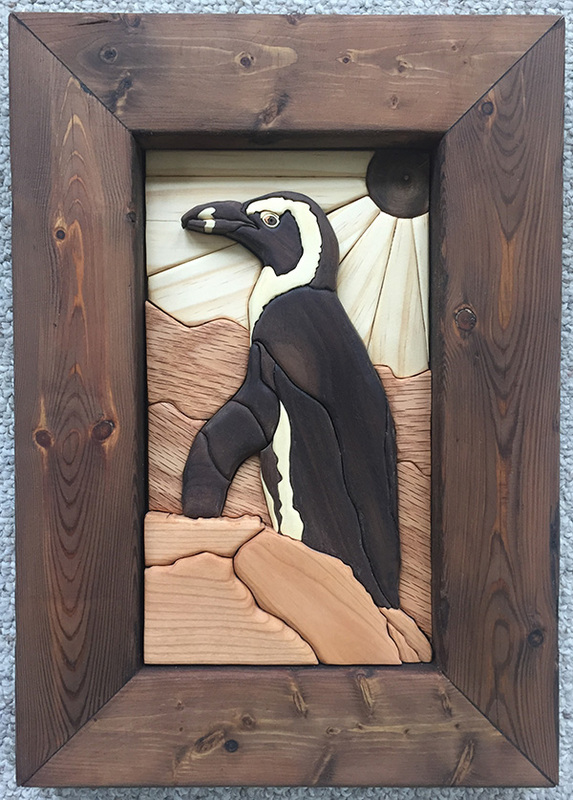 Penguin piece made from Walnut, Aspen, Cherry, Red Oak, Yellow Pine, and Maple log.